Last week Amazon won a court case against its shoppers who did not carefully read the Conditions of Use. The moral of this story is that, to successfully sue an eCommerce website, you have to read what almost nobody reads - the site terms and conditions of use. The case is Wiseley v. Amazon.com, Inc., No. 15-56799 (9th Cir. Sept. 19, 2017). Amazon shoppers got together and tried to file a class action lawsuit for deceptive business practices. 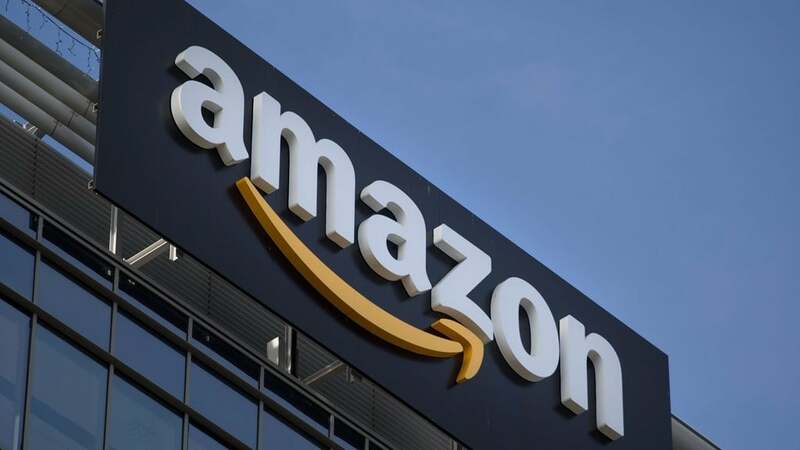 Plaintiffs alleged that Amazon had falsely advertised and fraudulently misrepresented merchandise. That's because Amazon's reference prices (“was” prices, “sale” prices and crossed-out prices) were higher than prevailing market prices within the last three months. That's illegal in California. Cal. Bus. & Prof. Code § 17501 states that, “No price shall be advertised as a former price . . . unless the alleged former price was the prevailing market price . . . within three months next immediately preceding the publication of the advertisement or unless the date when the alleged former price did prevail is clearly, exactly and conspicuously stated. . . .” In other words, plaintiffs claim that they were tricked into paying higher prices than what they would have paid for same goods at a brick-and-mortar store because of Amazon's misleading listings in violation of California law. 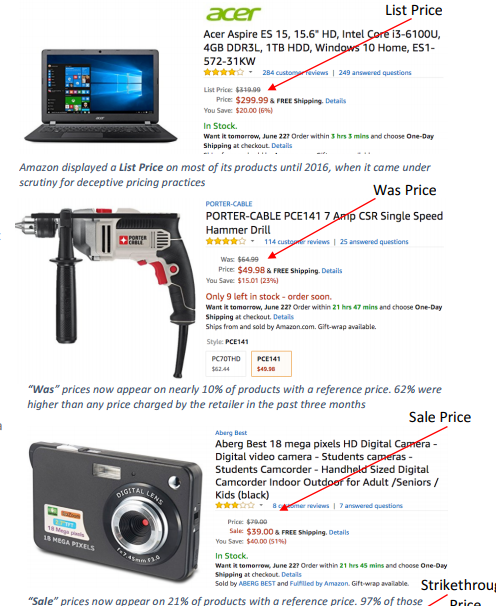 (Consumer Watchdog published a study on Amazon's deceptive pricing practices most recently in July 2017). But plaintiffs ultimately lost because of Amazon's Conditions of Use that say: 1) shoppers cannot sue, they have to go to arbitration instead and 2) Washington law governs the sale, not California law. Private, closed door arbitration is better for Amazon than a public court where the whole country can watch. WA law is, arguably, less favorable to consumers than CA law in this case. So, that's why the proposed class action fell apart and the plaintiffs were told by the Ninth Circuit to arbitrate their claims on an individual basis. It is similar to a recent victory of Uber over its customers. Read the terms and conditions.